The Federal Communications Commission (FCC) has reclassified net neutrality from Title II to Title I of the Communications Act of 1934, slashing regulations on what Internet Service Providers (ISP) can do regarding internet speed. The five-member panel, which consists of three Republicans and two Democrats, voted to reclassify net neutrality. Chairman Ajit Pai and the two Republican chairs voted in favor of the measure. 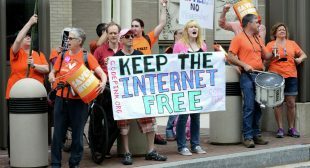 In 2015, the FCC reclassified the net neutrality from Title I to Title II, a move praised by online activist groups but slammed by some as regulatory stifling of competition between ISP’s. Title II designates communication companies as “common carriers”, subjecting them to more regulation than the “information providers” regulated under Title I.